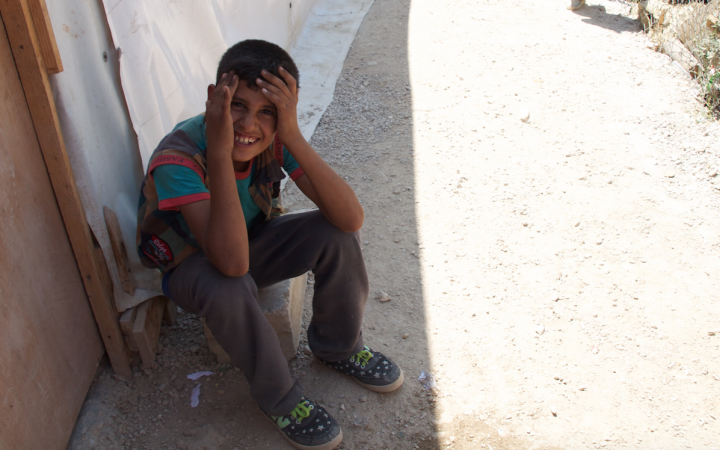 This past summer, I spent a couple of weeks at the Al-Jarahyrie Syrian Refugee camp — one of the worst in its region. The camp is home to a tiny tent school, smaller than a two bedroom apartment and hosts about 300 Syrian refugee students all year round. I volunteered with Jusoor, an NGO of Syrian expatriates, as an English teacher for primary school level students, working with refugees who had fled the war zone about a year ago. A week into the ESL program, I was still struggling to memorise my students’ names, so I decided to distribute name tags. The minute I took the name tags out of my backpack, the class gasped in excitement. We are not really worried about passports right now — we are worried about getting a rooftop to this tent before the winter. Later in the week, I visited Kousai in his small tent by the school. His mom explained that they fled the country with nothing but their clothes on. “We didn’t have time to pack anything — not even our ID cards,” she said. While visiting other families in their tent homes, I learned that most of the refugees in the camp had lost their identification documents. I then understood why his father shouted so loudly. 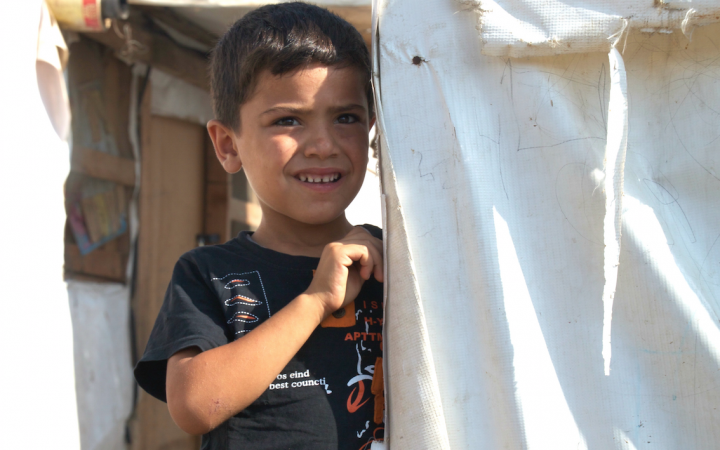 A boy sitting in the shade of a refugee tent. This past summer was a summer of loss. I heard stories about people who had lost everything; their children, families, loved ones, homes, stores, factories and jobs. I listened to people explain how they lost a body part during the bombing, how it felt and how they were coping with it. I watched as they acted out how they felt as barrel bombs exploded in their neighbourhoods. I listened as my students imitated the sound of shells. “No, it is much louder than that, Miss. Listen, it is more like this,” said one student. “No, it is even worse. Actually, no one here can imitate the sound for you. Just imagine the loudest sound you have ever heard, and multiply it by 1000,” shouted the second. “A million times, Miss — a million times worse,” another corrected. Conversations like these were casual among my students. If it was up to me, I’d choose drowning in the sea after fleeing on a boat. I think it is different and adventurous! During my lunch break, I sat in the principal’s room and heard teachers debate about where they should seek refuge. “How is your husband, Manal?” asked one teacher. I learned just this week that Manal had joined her husband in Athens. She travelled to him on a ‘death boat’ earlier last week. They haven’t reached Germany yet. 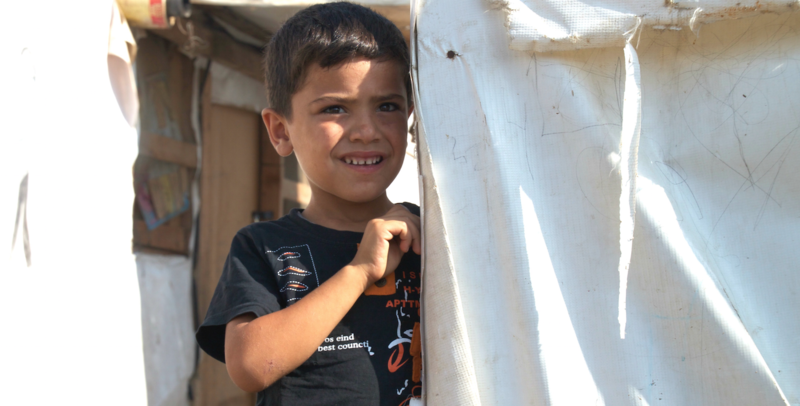 A Syrian boy peers out from behind a refugee tent. When the school’s teachers asked me how I would travel back to the United States, I felt ashamed. The two-storey plane did get me back here to the States, and now I’m here in Berkeley, trying and failing to put aside all that I have heard, seen and experienced this past summer. I wonder while flipping through the pictures of my students whether they have fled the camp or are still there, and whether they are still attending school or were forced to stop. I hope their parents didn’t pull them out of school to have them work double shifts in the fields. 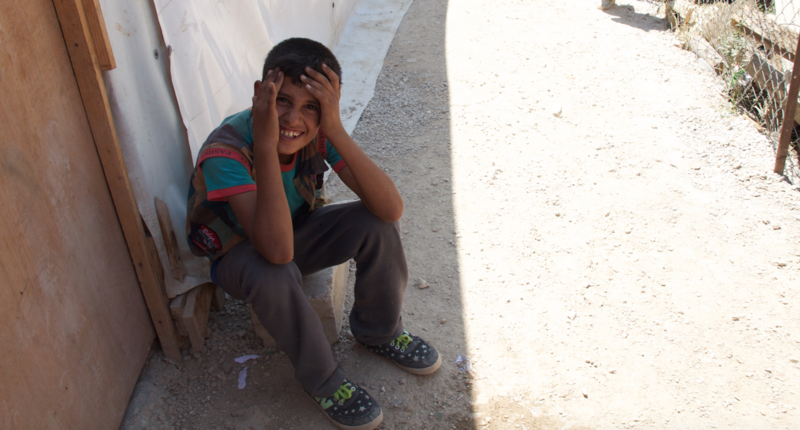 I know that not much has changed in the camp since I left, and I’m sure that their situations are only getting worse. Day and night, I have been following the news coverage of the refugees. While watching the news, I debate whether I would be happier knowing that my students are still safe in that refugee camp or if they’d be better off fleeing on one of those floating boats in the Mediterranean. There’s a huge probability that they wouldn’t make it to Europe on such boats, but they probably won’t last long in a refugee camp in Lebanon, either. What a situation they are left in — between the devil and the deep blue sea, between a refugee camp and the Mediterranean.